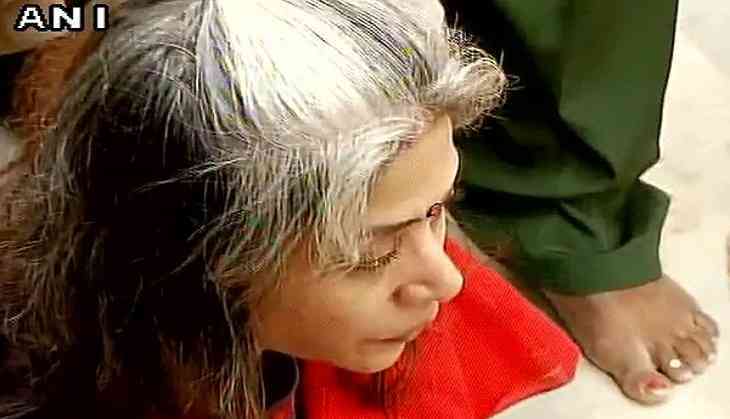 The lawyer of Indrani Mukerjea, accused in the Sheena Bora murder case, has demanded the special Central Bureau Investigation (CBI) court to record her statement and to conduct the medical examination immediately in the Byculla jail riot matter. Earlier, Mukerjea's lawyer filed an application in the special CBI court, claiming that she was assaulted by the Byculla jail authorities. Her lawyer said in the application that bruise marks could be seen on Mukerjea's body all over after being beaten up by the jail staff. Reportedly, over 200 women inmates, including Mukerjea, have been booked for rioting and criminal conspiracy inside the Mumbai's Byculla jail. The Nagpada Police filed an FIR against six women prison staffers, including the jailor for the murder of Manjula Shetye, a 31-year-old convict inside the jail. A case of murder has also been registered in this case. On August 25, 2015, Indrani was arrested by the Mumbai Police in connection with the alleged murder of her daughter in 2012. She was charged under Sections 302, 201 and 34 of the Indian Penal Code (IPC). Since September 2015, Indrani has been held in judicial custody at a women's-only prison in Byculla Jail.